Privately owned Ukrainian start-up low-cost carrier (LCC) and charter airline SkyUp Airlines, which launched operations in May of last year, carried 441,600 passengers on 2,322 flights in its first seven months of operations, a figure below the originally hoped-for 650,000. The hybrid carrier, which operates flights on behalf of holiday travel company JoinUp! proclaims that it reached an average daily flight-time-per-aircraft of a remarkable 15 hours, according to Ukrainian outlet Avianews. Among the airline’s key milestones in the year were securing its AOC, launching operations, placing a firm order for Boeing 737MAXs – and obtaining approvals for operating flights to Europe. 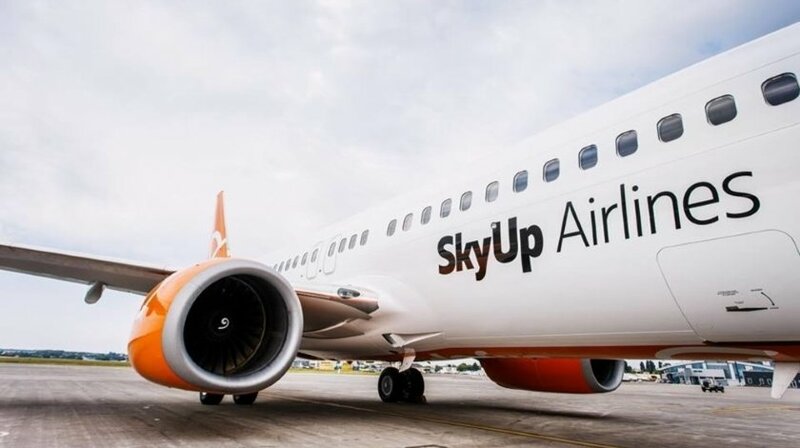 By the end of 2018 SkyUp, which has adopted a mixed business model with some distinct characteristic features of those of a discount carrier, had 25 international and three domestic routes in its network, including those for which it was chartered by Ukrainian football club Shakhtyor FC. SkyUp obtained its EASA TCO (third country operator) licence in November 2018 that approves it for operating flights to 28 European Union member states as well as to Switzerland, Norway, Iceland and Lichtenstein.